Click here for more info & to purchase your ticket(s) and accommodation. This entry was posted in Events, News on February 8, 2018 by Damien Stevens. This entry was posted in Events, News on February 22, 2016 by Damien Stevens. Uniting Network goes to Mardi Gras Parade 2016! 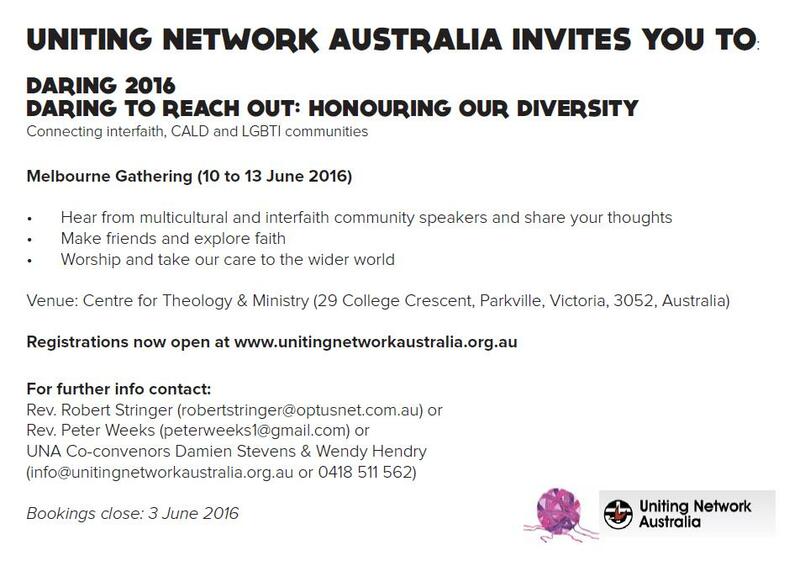 Uniting Network is the forum for LGBTI members and their friends and supporters in the Uniting Church in Australia. We support the inclusion of LGBTI members and leadership within the Church, for Marriage Equality and for Refugees and the Persecuted internationally. Please join us as we march together at Sydney Mardi Gras Parade 2016, where we say “LGBTI Refugees Are Welcome Here!” We will be marching wearing black (one of the UCA colours, and to express our sorrow); and carrying banners, signs, and red and white lanterns (the other UCA colours, to shine light in the darkness); and drumming (to demonstrate our frustration and anger at the current situation). A $25 registration fee covers basic costs for vehicle hire, resources, and a T-shirt for all participants. REGISTER HERE. Further details will be sent to participants closer to the day. Venue: Parade is on Saturday 5th March 2016. We will gather at Pitt Street Uniting Church in the early afternoon to pray and to complete any last-minute organising (including signing a volunteer participation form to be covered by the Uniting Church’s public liability insurance). We will then make our way to the parade marshalling area in Hyde Park. This entry was posted in Events on February 14, 2016 by Damien Stevens. 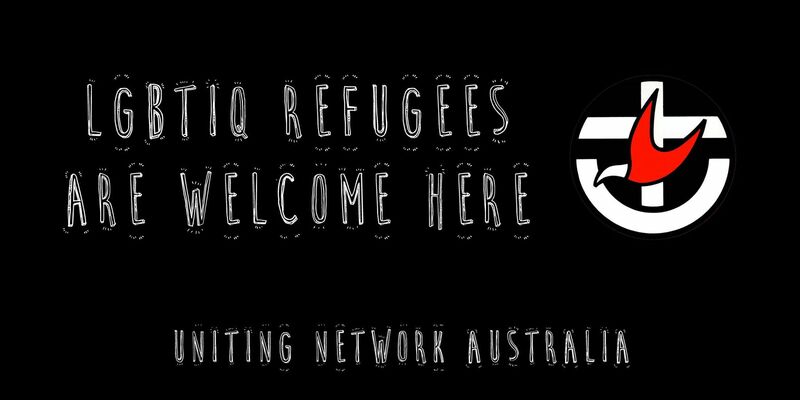 The conversation on LGBTIQ refugees demands immediate attention. There is an increasing number of asylum claims based on gender or sexual orientation, yet a narrowing of the political and media conversation about race and refuges in Australia. Whether it is providing better care, support and rights to LGBTIQ refugees within the current system or whether it is changing the political landscape of Australia so that our nation can be a welcoming refuge for those fleeing persecution based on gender or sexuality, this forum will centre on the provocation that Australia can do more. 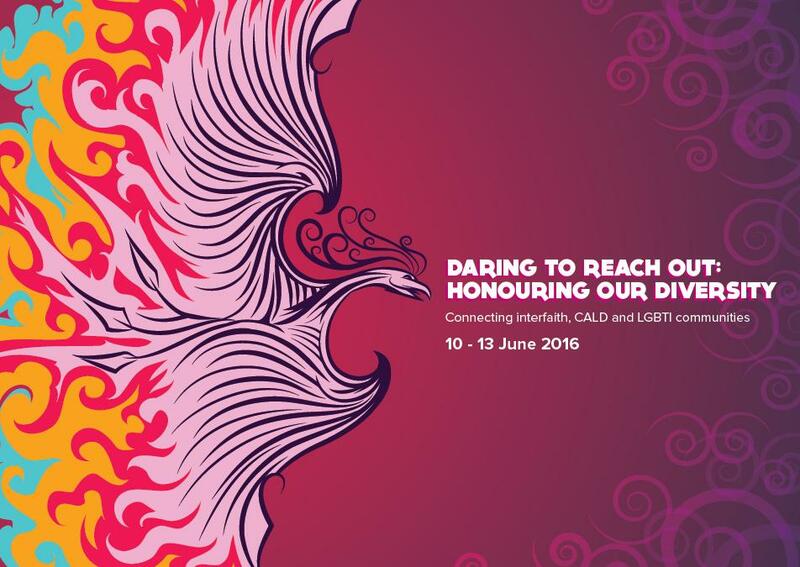 A panel of experts will explore some of the unique challenges faced by many LGBTQI refugees, outline the current complex policy landscape and propose strategies for long, medium and immediate term action to make our Australia a place of inclusiveness and refuge from gender violence and sexually-based persecution. NB: This is a secular discussion. People from all walks of life are invited to attend. This entry was posted in Events, News on December 15, 2015 by Damien Stevens. 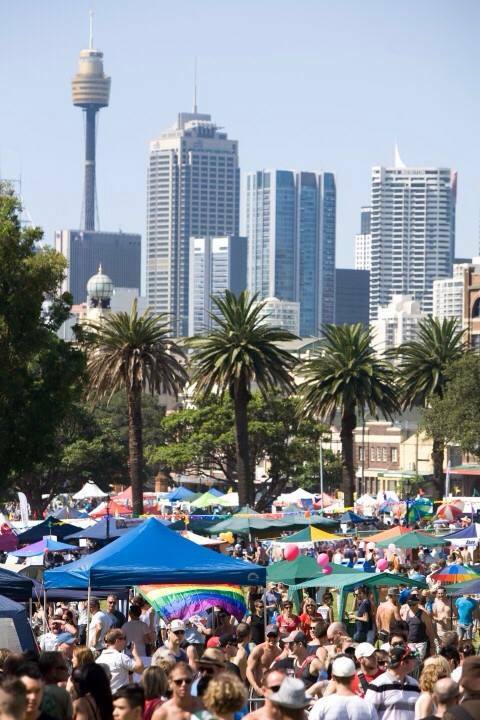 Every year, more than 80,000 people descend on Victoria Park for Fair Day. 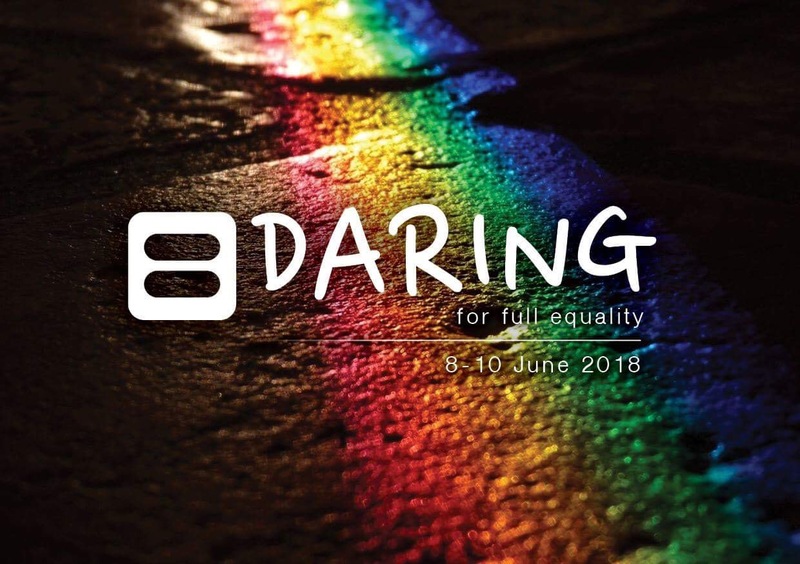 This year, Uniting Network will have a stall with information about our group, a list of affirming congregations in Sydney, and information about our Mardi Gras float for this year. But most importantly, it’s a chance to meet people, have fun, and share our message with the wider community. If you’d like to volunteer for a shift on the stall, email keithgordongerrard@hotmail.com to get on the roster. Or just come along and say g’day, grab one of our badges, and enjoy the rest of the festival. This entry was posted in Events on October 20, 2015 by Damien Stevens. Join UNA members & friends in 2016! Assemble from midday; March at 2.00pm sharp; party in the park until late. Melbourne’s iconic annual Midsumma Pride March recognises and celebrates Victoria’s gay, lesbian, bisexual, intersex and transgender community, while remembering the road we have already travelled on this journey to equity. On Sunday 31 January 2016, Midsumma Pride March will celebrate it’s 21st Anniversary, so be sure you are there to show your colours! It is a key date on Victoria’s cultural calendar and a destination for interstate and international visitors. The theme for 2016 is “Marriage Equality”! 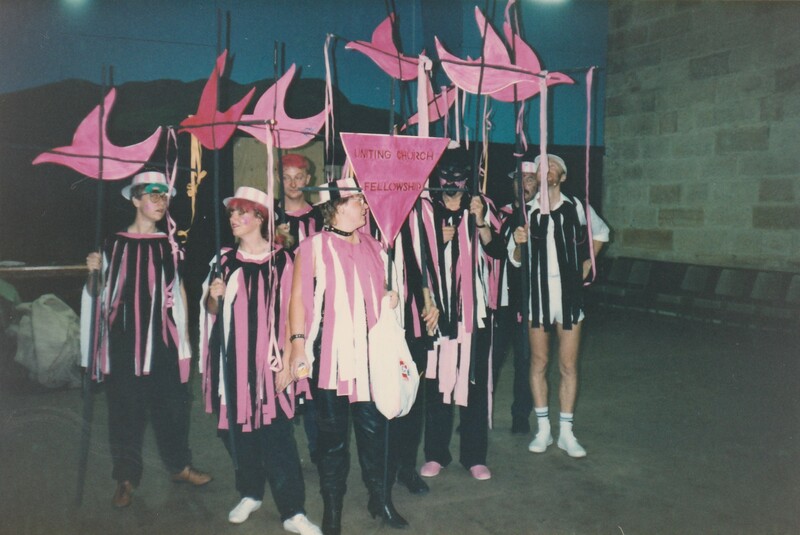 Get your group together to march down Fitzroy Street, St Kilda and show your pride! Are you proud? Got something to want to tell the world? Want to do it colourfully and publicly? We have just the answer; register your group to march down Fitzroy Street as part of the Midsumma Pride March. Whilst we call it a march, we enthusiastically encourage dancing, singing, strutting, catwalking and voguing. The more choreographed and fabulous your group is, the more impact we can make, and the more spectacular the event gets. Take a look at Some Pride March Inspiration for a few ideas from around the world. Following the march down Fitzroy Street, the energy and pride will continue at Catani Gardens for a family-friendly, dynamic picnic in the park. Local traders will be selling delicious, delectable and devilishly good picnic baskets, so after you’ve watched the March, head down to Catani Gardens, grab a picnic basket and join us for the community celebrations. This entry was posted in Events on October 8, 2015 by Damien Stevens. We will be having another Uniting Network NSW/ACT public meeting. The format last time worked very well, so we will be following it again: informal; hearing reports back from a few people; sharing any news; working on upcoming events such as Mardi Gras; closing in prayer; and some refreshments and snacks provided. * Reports back from a very positive meeting with NSW/ACT Moderator Myung Hwa Park just before National Assembly. * Reports back from the recent UCA National Assembly in Perth in July, especially regarding the response to the Marriage Discussion Paper. * The very positive correspondence with Matthew Tyne (Associate Director, Relief and Development) of UnitingWorld (UCA’s agency for international aid and development) who would also like to see LGBTI-inclusive policies in their aid program. * Getting in touch with Kath Merrifield of Uniting Mission and Education to encourage involvement and membership with the Safe Schools Coalition for LGBTI inclusiveness. * Correspondence with Liam Leonard from La Trobe University, who presented his paper “Whose home? The support needs of newly arrived, refugee or asylum seeking LGBT young people” at Health in Difference, the National LGBTI Health Conference in August and was featured on the Gay News Network website. * Rev. Dr. Margaret Mayman’s meeting and prayer gathering on 17th August with Warren Entsch MP and other Christian leaders from around Australia in support of marriage equality. * A break-out group of the volunteers to start organising and promoting our involvement in Mardi Gras (float, Fair Day, and Refugee Forum). * Any other agenda item suggestions are welcome. 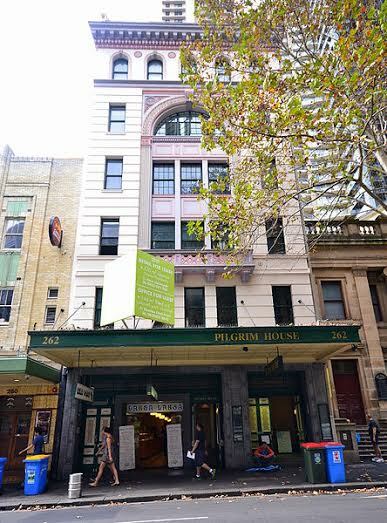 The meeting will be in a room in Pilgrim House, 262 Pitt Street, Sydney, next to Pitt St UC (photo below) on the evening of Wednesday 23rd September from 5.00 PM. This entry was posted in Events and tagged NSW/ACT on July 3, 2015 by Damien Stevens. We are planning a public meeting for 24th June 2015 to be held in Pilgrim House (next to Pitt Street Uniting Church in Sydney city) at 6.00 PM. Please RSVP by 17th June. Refreshments and snacks will be provided. We would love to see as many interested people as possible. This is a chance for people in NSW/ACT to meet each other and the ‘office-bearers’ at state-level who are involved with Uniting Network, as well as anyone who wants to be part of Uniting Network. There may also be a need to re-affirm or elect some of the ‘office-bearing’ positions. 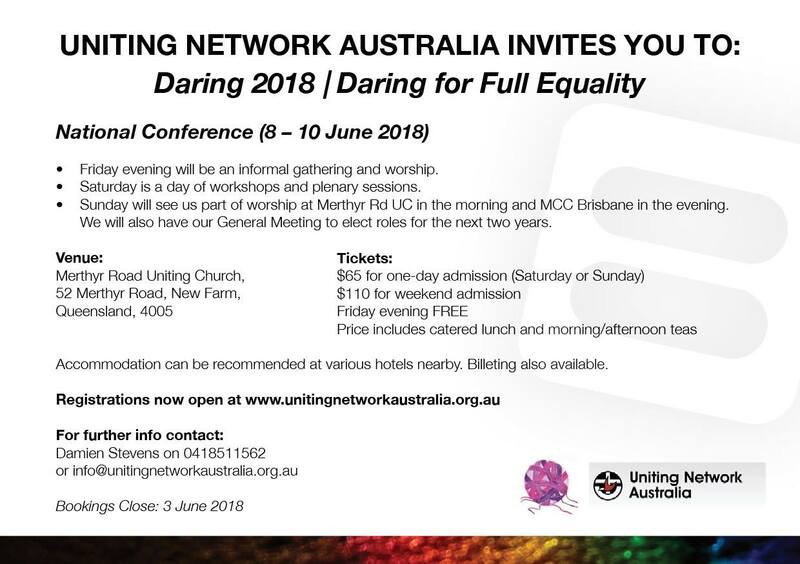 For people who are interested in joining or renewing membership of Uniting Network: details can be found on the national website at http://www.unitingnetworkaustralia.org.au/?page_id=5 Note: this is for official national membership and supports the website activity, expenses for Mardi Gras, etc. Hope to hear from you by the 17th June and see you on 24th June. This entry was posted in Events and tagged NSW/ACT on June 7, 2015 by Damien Stevens.